Are you thinking of switching your feline to frozen raw cat food? Maybe you want your cat to eat a diet that’s closer to what they’d get in the wild. In this article, we’ll look at the pros and cons of frozen raw cat food. 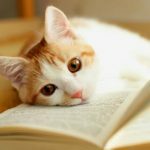 There will be tips on preparing raw food as well as recommendations for some of the best frozen raw cat food brands available. 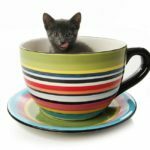 But first, we’ll look at the unique dietary needs of cats and how it impacts their health if these requirements aren’t met. Proteins are essential in any diet. They’re the building blocks for cells, organs, hormones, blood, skin, bones, enzymes and tissues. Since cats are obligate carnivores, they get protein from animal sources. In fact, cats require more protein than many other animals since they also use it for energy. Dietary protein contains amino acids. A cat’s metabolism breaks amino acids down at a high rate. While other animals are able to regulate their rate of protein breakdown, cats cannot. Deficiencies of certain essential amino acids can lead to serious health problems for cats. For example, taurine is found only in animal-based products. Cats who don’t get enough of this essential amino acid are susceptible to retinal degeneration. Dilated cardiomyopathy and developmental defects in kittens are also associated with a lack of taurine. Arginine is another essential amino acid that most other animals are able to make in their body. However, cats don’t have the enzyme needed to produce it. It aids in the elimination of protein waste products through urination. According to this study, a cat’s diet excluding this from even one meal could result in death. Like protein, fat and fatty acids are essential to keep a cat healthy. Fat provides energy and aids in the absorption of fat-soluble vitamins. They provide insulation and protect the internal organs. Essential fatty acids must be provided in cats’ diet because they are unable to make them. Vitamins and minerals are other essential nutrients in your cat’s diet. Without them, your cat won’t be able to function properly. However, it’s also important that they get them in the proper amounts. For example, vitamin A is a fat-soluble vitamin, which means it gets stored in the body. The immune system, skin, coat, muscles, nerves and vision all need vitamin A to be healthy. 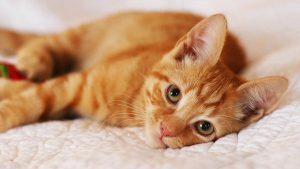 Cats are unable to convert beta-carotene from plants into vitamin A. Therefore, they must get it from an animal source. However, too much Vitamin A stored in the liver can lead to toxicity. Cats also need lots of water-soluble B vitamins such as niacin and thiamine. They help to maintain a strong immune system. A deficiency in B vitamins can leave them susceptible to illness. Ensuring your pet gets the proper nutrients in the correct amounts is vital for a complete, balanced diet. This is why choosing a frozen raw cat food diet should always be done with your veterinarian advice. Although cats get most water requirements from a raw meat diet, they should still have access to fresh water. A raw diet is sometimes referred to as the biologically appropriate raw food (BARF) diet. In the wild, cats eat prey with high amounts of protein, moderate levels of fat and very little carbohydrates. Supporters of raw food believe that since this is a more natural way for cats to eat, it’s also healthier for them. You see this reasoning when browsing frozen raw cat food reviews. One benefit is that it allows you to know exactly what your cat is eating. Many commercial foods contain preservatives and fillers. They’re often filled with carbohydrates, which cats can only tolerate in small amounts. Since cats have a limited capacity to metabolize sugars, this leads to obesity and diabetes. silkier coat and better skin condition. 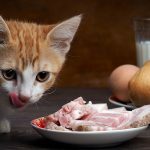 One of the biggest errors people make when feeding a raw diet to their pet is simply feeding them fresh meat and bones. They may not consider protein, fat and nutrient content. Before you give your cat raw meat, it’s important to have her checked out. Discuss recipe options with your veterinarian. An incomplete diet that lacks essential nutrients can lead to serious health problems for your cat. Your vet will likely recommend supplements to ensure this doesn’t happen. This study compared two raw diets with a commercial cooked one and found that both supported feline growth. However, it also stated that there could be nutrient deficiencies in the long term with a raw diet. Possibly an even greater threat is the risk of cross contamination. Preparing raw meat can expose you and your family to dangerous pathogens, including salmonella and e coli. This can lead to life-threatening illness. In this study, two cats in the same home died from salmonella infection associated with a raw diet. Since pathogens can remain on preparation surfaces and utensils, it’s important to be diligent when preparing raw meat. Whenever you’re handling raw meat, it’s crucial to wash your hands frequently or wear gloves. Always prepare raw meals in a designated area to control contamination. Feed your cat in this same space. Afterward this area should be thoroughly cleaned and sanitized using bleach. That includes bowls, other utensils and any objects that comes in contact with raw food. Since preparing a raw food diet requires a considerable amount of time, make enough to last for a few weeks and keep it frozen. Ingredients typically include raw meat from muscles and organs, ground bones, eggs, water and supplements. Have a large cutting board, meat grinder, knives, bowls, disposable gloves, kitchen scale, storage containers and freezer space. Always use fresh, high-quality meat. Meat from the grocery store is intended to be cooked. Purchase organ meat from a butcher or local farmer as this is meant to be eaten raw. Muscle meat can be cut or processed through the meat grinder, but pieces should be in chunks. Grind organ meats separately, and put both types of meat in the refrigerator. Bones also should be ground separately. Combine the supplements in a bowl. This typically includes wild salmon oil, taurine, vitamin B complex, vitamin E and psyllium, but always check with your vet. In a larger bowl, combine the meats and supplement mixture and stir well. Freeze individual portions using glass or plastic containers, freezer bags or even muffin tins. Some pet stores offer pre-made mixes of ground raw meat in the freezer section. Just thaw and add supplements. Alternatively, consider some of the frozen raw cat food brands that are available. These meals are pre-mixed, packaged, frozen and sent to you. They are the next best thing to fresh. Commercially prepared meals are much less time consuming. All you have to do is thaw them. However, remember that all of the safe food handling rules still apply. Commercial raw food can also be contaminated. One study that evaluated 25 commercial raw food diets for dogs and cats found salmonella in 20 percent. 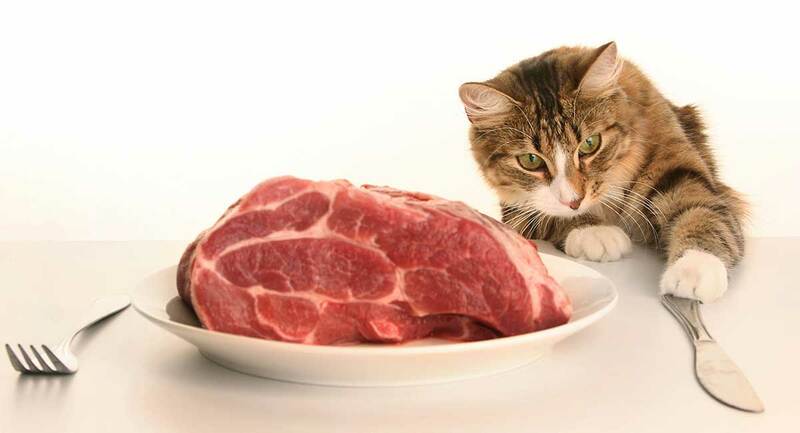 Better in the raw is a supplement premix for preparing a raw meat diet for cats of all ages. It contains vitamins, minerals and amino acids. It’s also made with 100 percent human grade ingredients. All you have to do is add raw meat and water. Stella & Chewy’s offers frozen raw dinners for cats. These raw frozen meals are made from 98 percent meat, organs and bone. They’re fortified with added vitamins and minerals, taurine, probiotics and antioxidants. These meals contain no grains or gluten. This brand is available in patties and morsels and thaws in minutes. Steve’s Real Food For Pets offers frozen raw foods made with grass fed, hormone, and antibiotic-free meats and poultry. Chicken, turducken and pork meals are suitable for either cats or dogs. For example, the chicken meal contains ground chicken, raw ground chicken bone, chicken livers and chicken gizzards. It also has fruit and veggies, salmon oil and taurine. Their meals are formulated to meet the nutritional requirements for all stages of a cat’s life. They offer a 100 percent guarantee. Darwin’s Natural Pet Products also carries frozen raw cat food meals. Darwin’s Natural Selections™ include a choice of turkey, chicken and lamb patties. All are pasture-raised and cage free, with no added antibiotics, steroids or artificial hormones. Fresh meals are immediately frozen in vacuum-sealed packages to preserve quality and nutrition. It’s then shipped in insulated containers throughout the U.S. This is an even more convenient way to serve your cat raw food. Freeze drying is the process of removing moisture while the food is frozen. It allows the raw food to be shelf safe. While there is minimal processing, the nutrients, enzymes and protein structures should be well-preserved. To prepare, you just have to re-hydrate the food with water. However, in terms of handling, take the same precautions for bacterial and contamination risks as you would with any raw meat. Instinct Freeze Dried Raw Boost Mixers Grain Free Recipe All Natural Cat Food Toppers by Nature’s Variety are made with responsibly sourced, farm-raised rabbit, organs and non-GMO vegetables and fruits. Adding Instinct frozen raw cat food on top of your cat’s kibble is a good way to transition them to a raw diet. Instinct Freeze Dried Raw Market Grain Free Recipe Nuggets for Cats by Nature’s Variety makes it easy to feed your cat raw food. You simply crumble the nuggets and add water to serve. Ingredients are 90 percent chicken and liver, and 10 percent vegetables, fruits and vitamins. LIFE ESSENTIALS BY CAT-MAN-DOO All Natural Freeze Dried Wild Alaskan Salmon Treats for Cats & Dogs are made from 100 percent freeze-dried salmon. Natural fish oils keep fur shiny and act as a natural anti-inflammatory for your pet’s joints. They’re a healthy snack that’s low in calories. We’ve got plenty of guides to the other types of cat food you can get! Check them out below. 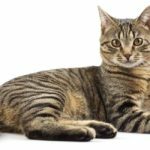 We’ve given you several options for frozen raw cat food that we hope are helpful for you and your cat. Do you have a cat that eats a primal frozen raw cat food diet?